Weddings are marked by mixture of class, traditional and trendy practices. 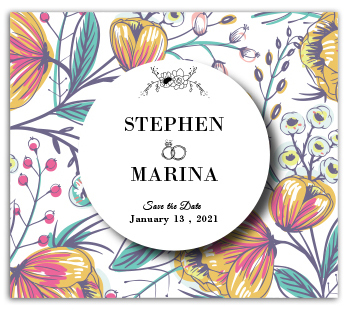 If you wish to start festivities in a classy way, then it is best to invest in a customized 3.5 x 4 inch classic wedding save the date square corner magnet. It is for sure that whoever receives this magnet as a gift will retain it as a reminder of your wedding and a token of great friendship that they share with you. It may be retained as a wedding souvenir, too!